Do Partnerships Work in Retail? In retail — or any small business — deciding to take on a partner can be tricky. There can be some real benefits to entering into a partnership, but without the right elements, things can go south fast. The focus on this article is on "engaged" partners — meaning both people work in the business. A non-engaged partner, often called a silent partner, is someone who simply provides capital for the business. This is not the type of partnership covered here. This is not to say that a silent partner is a bad idea, but in my experience, the truth is there is no such thing as a silent partner. A silent partner is often times more vocal than you anticipate. I am not fan of silent partnerships because they tend to lead toward discourse. For example, if the sales are down and subsequently profits are down, then the silent partner is going to want answers. Most times, they are full of reasons or ideas as to why your sales are down. On retail, you have to be at the front line to understand what's going on. So, the silent partner is throwing out his or her opinions on what is causing the slump, but since they are never actually at the front lines witnessing the customer experience or traffic, they are really shooting in the dark. It is pure speculation and this can be harmful and dangerous. Even as an engaged owner (meaning owner/operator) of my shoes stores, I got myself in trouble sometimes with my "theories" on why business was down. And I was in the store! Imagine what it would be like for someone who was never around? Plus, if you are the engaged partner, you know sales are down and there is an issue. The last thing you need is someone telling you there is an issue — especially if that someone is not actually involved in doing anything about it — except telling you what to do. So why should you take on an "engaged" partner? 1. To share the responsibilities and workload with someone else. While it's true you and your store might make more money on your own, it can be better to have two owners working together, rather than as an employer and employee. Splitting the workload means you can get more done more efficiently. While this can be done with an employee, employees do not have a vested interest in the success of the business, while a partner does. Consider this, if you took your to-do list each day and split it in half, how much more could you get done? Plus, if one person could focus on the customer experience and another on the operations, you have all aspects of your business being focused on equally. The reality is, when you are on your own, some weeks customer experience is ignored. You focus on operations. Until it's too late that is. 2. Each partner will bring certain skills that the other partner won't have. A number of years ago, there was a Pitney Bowes ad campaign. They did a good job of clarifying a partnership. They called Mr. Pitney “the ideas man” and Mr. Bowes “the man who made it happen.” Great partnerships are made up of two types of people: a creative mind, and a doer. The creative person is not usually good with the details. The other person more or less picks up the pieces and makes it all happen. It's challenging to have one without the other. So which comes first: the chicken or the egg? Is it better to have the courageous creative first or the detail-oriented doer first? The answer is, both are equally important. You can’t successfully run a business with one and without the other. 3. Financial strength or sweat equity. One person may have more financial strength than the other. One person may bring sweat equity to the table. Both can add value to the other, especially in the retail environment. 4. To utilize another person’s strengths. This is one of the main reasons to enter into a partnership. Partnerships sometimes break down because one person initially believes the other person’s strength is stronger than it actually is, and they end up disappointed. When we set expectations too high, we set ourselves up for disaster. To make for wonderful, long-term partnerships, look for hotspots or areas that would cause disagreements. A friend of mine, Rick Segel, has some great advice on partnerships. He calls it the Prudent Man Rule. The Prudent Man Rule asks, ”what would a prudent man do in this situation?” In a partnership you should look at how you would like to be treated. What is the most honorable way to look at the situation? What is the proper way of doing it? Look at it and decide: Is it good business or bad business? But many partnerships don’t follow this rule, and end in disaster. There are three factors that are critical to a successful partnership—and without these, your partnership is likely to fail. 1. Trust. The biggest issue is trust. Both partners must be able to completely trust one another. One partner shouldn’t do what the other one wouldn’t. If one partner goes ahead with a plan without reporting on what they’re doing, it shows there is no trust there. When that happens, move on. Trust is a necessary component to a successful partnership. 2. Communication. Another HUGE issue (with partners or employees) is communication. Are both partners aware of what the other partner is doing, so there are no surprises? If one spends money on something and the other isn’t aware, that’s a problem. Each partner needs to have the option to advise and give consent. And each partner needs to listen to the customer and not themselves or just each other. 3. Money. The other area of contention all comes down to money. When one partner is using the company’s funds for external purposes (personal reasons or even other professional projects), there are going to be issues. 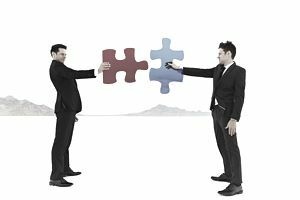 The same thing happens when one partner is putting other projects though that business without consulting the other partner. It would be better to set up a separate entity. When you mingle funds, you mingle people. The amount of money doesn’t matter — it’s the principle. One business cannot act as a piggy bank for the other. One partner will believe the other is taking advantage of the situation. That can never happen. If there is a questionable expense, it should be discussed in detail in advance so there isn‘t a problem. To make for wonderful, long-term partnerships, look for hotpots or areas that would cause disagreements. 1. In a retail store, the buying experience is a common hotspot. If one partner likes the display in blue and the other prefers in red, that is a subjective decision. Both could be right. So, you separate the buying responsibilities to avoid that. 2. Neither partner should do financial reporting. Accounting should be done by an outside person so the report reflects the correct information and is being reported to both parties the same way, especially in relationship to compensation. Bringing in a third party — an accountant — to help determine that the way money is spent and earned is a good and valuable investment in your business. This is a simple way to avoid this kind of hotspot. Sometimes we lose sight and think we should do our own accounts to save a little money. That is penny wise and pound-foolish. Separate responsibilities, hire a bookkeeper or accountant, and do it the right way. Be sure you can discuss the hotspots. What are the issues that could cause aggravation or unhappiness in each partner’s point of view? Then, figure out a way to avoid hotspots. You want the relationship to be as transparent as possible. Both people should understand the goals of the partnership and what the other is doing. The main goal is to maintain a good partnership for a long period of time, and that takes work.